Youngman has been associated with the manufacture of step ladders, ladders, access and work platforms and modular access towers since it was founded by Charles Youngman in 1926. They are now recognised internationally as a leading provider of innovative work at height solutions manufactured to the highest quality standards.  Take positive steps to prevent or reduce risk.  Follow the hierarchy for managing risk.  Do a risk assessment.  Ensure only competent people plan, organise and carry out work at height.  Always use the safest equipment to prevent falls, for example, guardrails and working platforms.  Make sure equipment to mitigate the effects of a fall is also used, for example, harnesses, nets and soft landing systems. 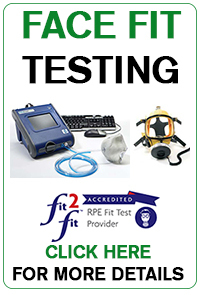 To work safely and effectively at height you need to select the correct piece of access equipment for the job in hand. Incorrect selection can result in potential serious injury or even death. The HSC will be shortly implementing some improved industry regulations to reinforce correct selection with the intention of massively reducing the number of accidents through misuse of access equipment.  Bring together all the current legal requirements for safe work at height, making a cohesive, single set of goal-setting regulations which will be flexible enough to apply to all industries and allow for technical innovation.  Ensure that the regulations are practical and tackle high-risk areas whilst avoiding unworkable requirements.  Adopt a risk-based approach, so that measures taken to comply with the regulations are proportionate to the risks involved, and can build upon existing good practice in the various industries they will apply to and compliance with the current law. Manufactured to industrial standards, these popular aluminium steps are a tough, durable alternative to traditional timber steps. Wide, slip resistant treads and broad base enhance the safety and stablility of these quality steps. All duty rating of 130kg. 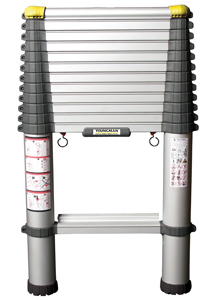 The multi purpose ladder is a compact, 4 section folding ladder which can be used in upto 4 configurations including a step ladder, straight ladder and a work platform. When folded it measures just 940x350x255mm and will easily fit into a car boot. This four section hinged folding ladder can be used in three different ways and can also be configured as a handy workbench. Lightweight and compact, it offers no fewer than four modes. When folded it measures just 920mm x 350mm x 260mm and fits easily into a car boot. Offering a long lifespan and excellent build quality, the aluminium and fibreglass (GRP) Catwalk S400 is designed to withstand heavy trade use and is non-conductive to 30,000 volts. Special Order ONLY - Contact the Sales Team for prices. The Folding Step is a lightweight aluminium platform that enables the user to reach those areas that are just out of reach from ground level. 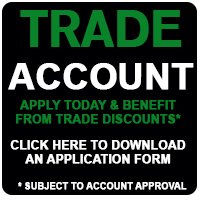 It is ideal for painters and decorators, plumbers and plasterers. In fact,it is so versitile that there are few professions that could not find a use for this unit. 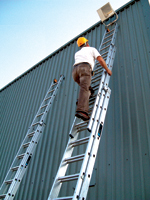 Exceptional torsional rigidity is a key feature of this premium quality industrial grade ladder. Made from aluminium, it combines rugged strength and durability with unrivalled sturdiness and rigidity. Extra large slip resistant feet provide additional safety. With over 100 years experience in access equipment design and manufacture the Clow Group offer a comprehensive range of high quality ladder, steps, platforms, podiums and scaffold towers. The Diamond Insulated Glassfibre Step from the Clow Group is designed for industrial and trade use and meets all the requirements of European Standard EN131. * Strong Fibreglass Front Stiles. * Heavy Duty Fibreglass Rear Stiles. * Serrated Aluminium Treads for Secure Foothold. * Unique Reinforced Stay Locking System. * Certified to European Standard EN131, 150kg Maximum Load.